RED Electrical - Why limit your system to 4kW? Most domestic solar installations, where space allows, are 4kW systems. This is partly due to the way that the tariff bands used to work. 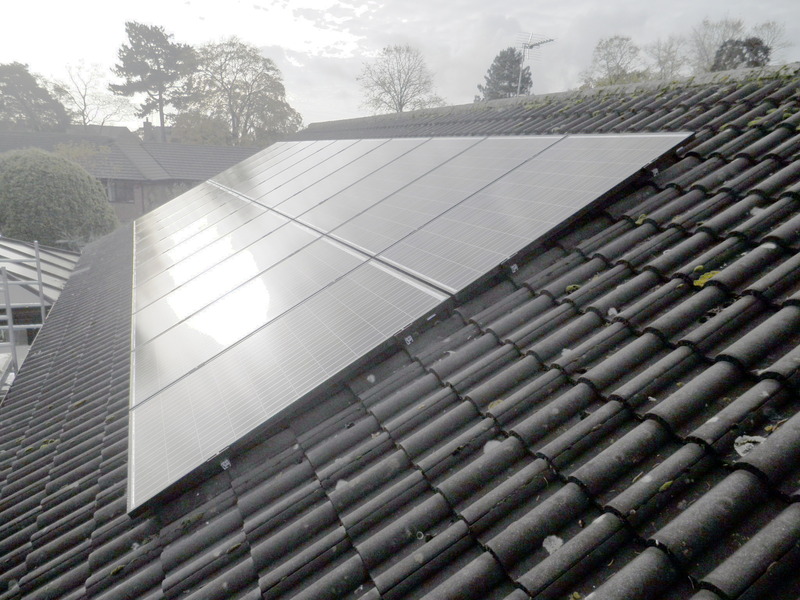 Until January 2016 systems up to 4kW in capacity attracted the best tariff, with systems exceeding 4kW but not exceeding 10kW getting a 10% lower tariff. That is no longer the case! Under the current Feed in Tariff the first band is 10kW and under, so there is no longer the incentive to limit your system to 4kW. 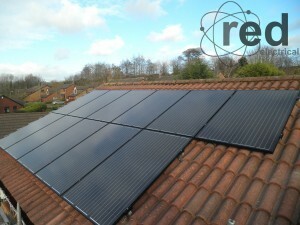 Economy of scale – a 5kW system, for example, comprises just four more panels than a 4kW system. The extra labour cost in installing those panels is minimal. Scaffolding costs , where applicable, would be the same, and the slightly larger inverter will only be a few pounds extra. Don’t just look at the generation tariff, consider the export rate too – this remains constant regardless of the size of system. Savings on the electricity bill will be higher – this will particularly benefit high electricity users. Non-optimal installations can still get high yields – those properties with east and west facing roofs can generate as much electricity as those with a south facing roof, by using more panels on both sides of the roof. In January 2014 we were invited to quote to install a solar PV system in Clayton le Woods. The customer had already obtained several quotations from other companies, all of which were for 4kW systems. The roof of the house faces east and west, and the customer was concerned that this would prevent him getting any meaningful yields. For us, there is no ‘one size fits all’ solution; each system is designed to suit the requirements of the customer, and the property that it will serve. 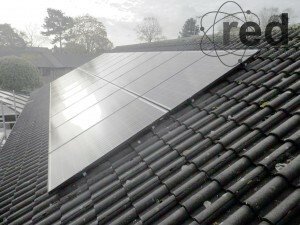 A system of 11 Phono Solar 250W monocrystalline panels on the front of the house, and a further 12 on the rear, totalling 5.75kW, was proposed. The customer was impressed with our design so he placed the order. The projected yield from the system was 4627 kWh per year (click here to view the software report). This is almost 1000 kWh more than a south facing 4kW system in the same location would produce (3793 kWh). 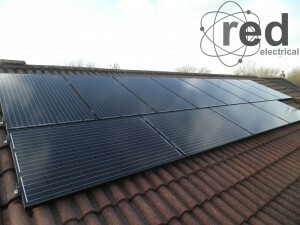 Following a recommendation from a previous happy customer, we were invited to design a solar PV system on a large detached bungalow in Nantwich. The customers didn’t want panels on the front of their house, so we measured the rear roof to ascertain how many panels could be installed. The roof was east facing, but quite large. If we installed 4kW of solar panels then, as the roof faces east, the system would produce approximately 25% less power than if the roof was facing south. We therefore designed a 5kW solar PV system in order to mitigate this. The 5kW system was projected to produce 3434kW, which is similar to a yield from a perfectly orientated 4kW system. Click here for the software report.